The lessons learnt in 2014 surrounding the kidnapping of 45 Fijian troops serving in Syria has prompted Government to modernise Fiji’s peacekeeping capacity. Minister for Defence and National Security, Ratu Inoke Kubuobola told Parliament yesterday that Fijian peacekeepers needed robust capabilities in order to provide robust responses. 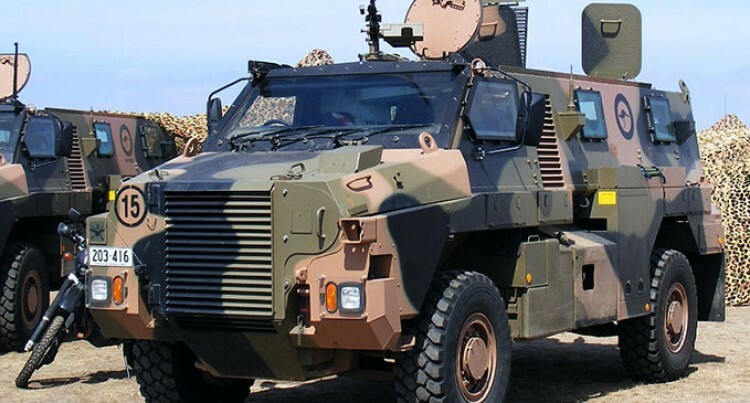 Last year the Australian Department of Defence made an offer to Fiji for the purchase of refurbished Australian Bushmaster to support Fijian troops serving under the United Nations Disengagement Observer Force in the Golan Heights. The offer was for seven vehicles to support our troops in the Golan and three vehicles for pre-deployment training in Fiji. the transportation of the seven vehicles to the Golan Heights and the three for Fiji in April. and the development of a sustainable programme was included in the Australian offer. The Bushmaster Protected Mobility Vehicle (PMV) is the first major Contingent Owned Equipment (COE) that Fiji has had since its 38 years of service supporting international peacekeeping. Currently, there are 18 Republic of Fiji Military Forces personnel in Brisbane on a three weeks operators and maintainers training for the Bushmaster Protected Mobility Vehicles. Seven of the personnel are currently serving in the Golan under UNDOF. In December, a delegation from the RFMF including the Director of Peacekeeping, Commander Humphrey Tawake were in Australia to inspect the vehicles. Built in Australia, the bushmaster was recognised to be the finest vehicle in the world. It has been tested and proven too in combat under adverse battle conditions which preserved the lives of troops. The combat vehicles are currently in service with the Australian Defence Force, Royal Netherlands Army, British Army, Jamaican Defence Force and Japan Civil Defence. “The Fiji and Australia Defence Co-operation Programme has provided tremendous leverage in Fiji meeting the UNDOF required timeline,” Ratu Inoke said. The programme supports the on-going development and professionalism of the RFMF. “These Bushmaster PMVs bound for UNDOF will be fitted with UN standard equipment to enhance troop’s protection, mobility and intelligence,” Ratu Inoke said. Fiji will be required to add and integrate selected Bushmaster PMV system, radio communications, thermal imaging, electronic, counter measures, global positioning device, night goggles and support armaments. “The enhancement guarantees that our major equipment schedule falls within the category of combat vehicle that yields positive return on Government’s investment to our international peacekeeping obligations,” Ratu Inoke said. Opposition MPs Viliame Gavoka and Prem Singh welcomed the decision. Both emphasised the importance of equipping our troops with the best equipment. Ratu Inoke said the information on cost was commercial in confidence. However, he said comparatively the cost of a single unit offered to Fiji by the Australian Government was 30 per cent of a brand new vehicle. Ratu Inoke said logistic support to the arrangement was done under the Military Logistics Support Arrangement which is a separate component to Fiji’s Defence Co-operation programme.